Wentworth Lodge is a mainly purpose built home, owned and operated by the same proprietors since 1997. We were one of the first residential care homes in Bushbury and are proud of our reputation for providing quality care for older people, clients with dementia and respite care. Built on the site of an ancient moat and situated in an area rich in history, Wentworth Lodge is only minutes away from Moseley Old Hall, Northicote Farm and Northwood Park. Local shops, the Post Office & other facilities such as Doctors, Surgeries are all located within a short distance from our home. There are local bus services available which drop off very close to our home and being located only a couple of miles from the M54, access to the motorway network and the rest of the West Midlands is extremely convenient. At Wentworth Lodge we like to operate as a ‘home away from home”. Our aim is to provide a person centred, caring and comfortable environment, in which our residents may live as normally as possible. We provide assistance with physical tasks and administration of medication, whilst respecting the independence, privacy & dignity of each individual. 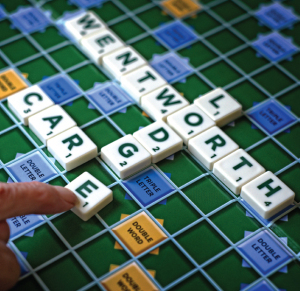 Wentworth Lodge actively seeks to attract and retain experienced and caring members of staff who are in attendance 24 hours a day to care for the needs of service users. Unlike many homes, we do not and never have, used agency staff. Believing that staff who know and understand the individuals for whom they are caring are better placed to provide the quality of care of which we are so proud of.